OBS are true pioneer's when it comes to innovative design and performance and have become extremely well established within the vaping world, synonymous with quality and affordability. 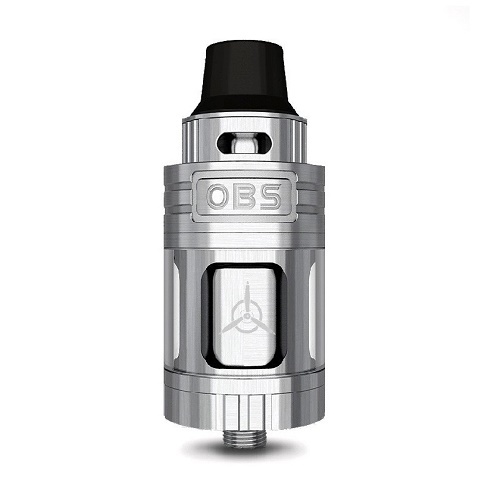 Building on the success of the superb Crius Sub Ohm / RTA, they decided to apply their knowledge in creating the new OBS Engine Mini RTA, 3.5ml capacity Tank. Flawlessly sleek and compact, with a fresh design, utilizing a unique top airflow system that propels vapour more efficiently, delivering incredible flavour as near to the taste of an RDA as is physically possible. 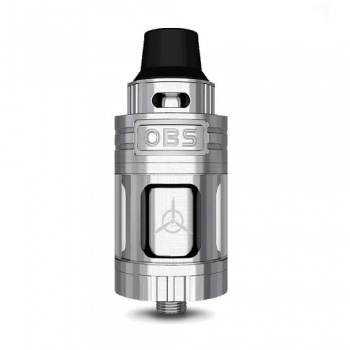 You will be amazed at the Vaping sensation that you will experience using this fantastic 23mm RTA, OBS have pushed the boundaries and set a new benchmark with this product, without doubt. The insulation between the deck and the base has been crafted specifically to reduce how the tank heats up when chain vaping or vaping at higher wattages, this is something every vaper has experienced with many other tanks on the market past and present. We believe this clearly demonstrates uncompromising attention to detail and OBS have applied this thoroughly in design and subsequent manufacturing of this truly outstanding RTA. Its aesthetics are contemporary and stylish, looking superb in both Black and Stainless Steel options.